Paranormal Pop Culture: Zombie killer, comic con king Norman Reedus talks ghosts? Zombie killer, comic con king Norman Reedus talks ghosts? 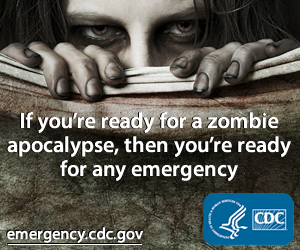 We still have several months before The Walking Dead returns to our teevees for Season Four, but that doesn't mean we have to completely do without zombies -- or Norman Reedus. 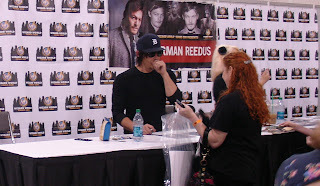 The fan favorite star of TWD, Reedus has recently become comic con royalty. 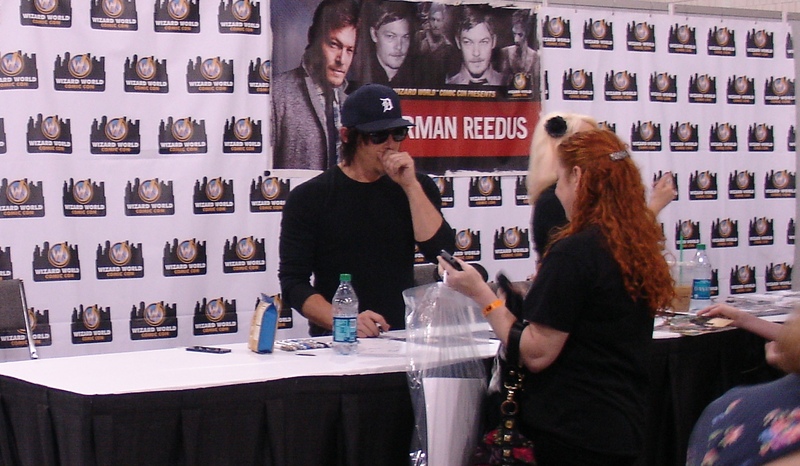 For instance, when I was covering the recent Wizard World Philadelphia Comic Con, Reedus was so slammed with autograph lines so long that the event center actually shut off the lights on him. Q: Do you believe in the paranormal, and ghosts or stuff like that? Reedus: I do believe in it. I definitely think it's out there. As far as experiences, you know, maybe some things when I was really little. Nothing major, to be honest, but there's some backstory with my grandmother ... she's from a town called Butera in Sicily and it's supposedly the witches down in Sicily so I've heard some stories growing up that were pretty interesting and scary. Q: But you've never seen anything? Reedus: I've not really seen any ghosts. I was staying in a loft in Newnan, Georgia, where we shot the show and it's supposedly haunted. It's a cotton mill from the 1800s and there's supposedly a slave graveyard on the grounds. They kept telling me it's haunted and I kept hearing little creaks in the night and things falling off shelves, but I usually sort of roll over and then I'd have some sort of verbal outburst to the effect of, 'I have to sleep!' so then they'd go away. Q: Would you ever want to do a ghost hunting show? Reedus: I'd love that [to do a paranormal investigative show like Ghost Hunters]. I'd love to ... You know, at first, even when I met them all, I was like, "you never find nothing," so they'd probably finally find something and probably scare the pants off me. But I'd love to. So, he's there to greet fans looking like a zombie? Dude, wash your hair, at least! Poor Norman doesn't even have time to breathe these days.